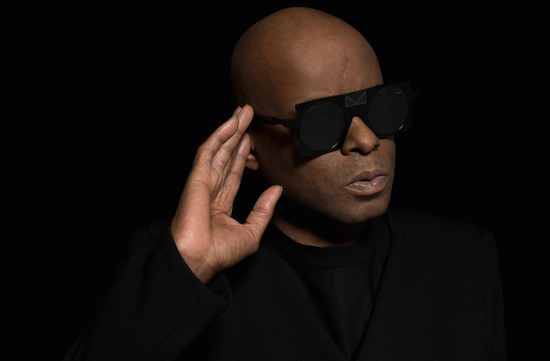 Juan Atkins has announced plans to tour a Cybotron live show for the first time. The tour will kick off at London's Barbican on April 12, and will take in further stops in Berlin, Amsterdam, Barcelona, Paris, New York City, Tokyo, Sydney and a number of other cities. Exact details on the full tour are yet to be announced. New music from Cybotron is also on the way, and will be incorporated into the live show, alongside other classic material. It's the first new music to emerge from the project since the late 1990s. According to a press release, the live show will see audio being "fed in real time into a bespoke visual generative engine taking 'The Cybotron Principle' - designed to show that a computer can be as good, if not better than a person when collaborating with music - to the next level." Find more information on the Barbican show here.